Our face loses the volume around the cheek area through the natural ageing process, which can lead to darkness in the under eye area. This dark circles around the eyes can be frustrating for many people. They result in you looking tired and they add to a sense of ageing. Treating these areas with fillers can help to rejuvenate the face and provide a more youthful, fresh appearance. 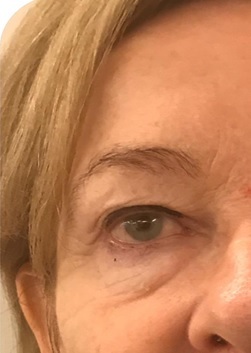 Many people focus on the crow’s feet when trying to improve the appearance of the eyes and the tear trough area is often neglected. At Skin Cliniq, we perform tear trough treatment using Dermal Fillers to make you look rested and revitalised. 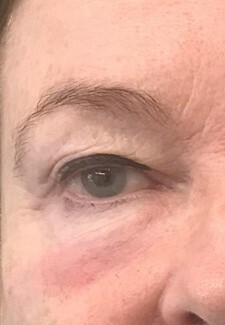 It is a very popular non surgical technique loved by people with tired eyes. Our dentists have trained heavily and carried this treatment out on numerous patients to ensure you receive great results. The best results are most often obtained by treating a few areas which together produce a fresh, youthful appearance.